The “F.I.L.M. of the Week” is “A History of Violence.” I watched it this weekend and was absolutely blown away by it. 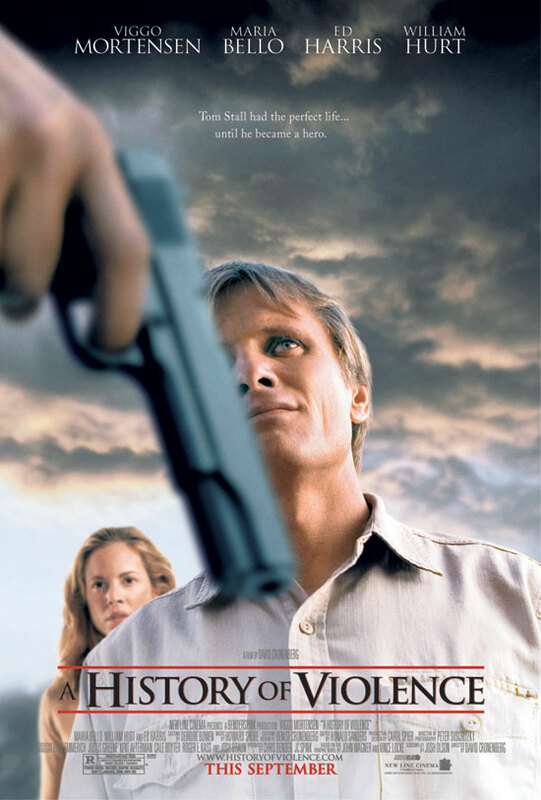 The movie tells the story of Tom Stall (Viggo Mortensen), a small-town diner owner who is thrust into the spotlight after killing two robbers in self-defense. However, the attention brings several mobsters into the town, confronting Tom about a past he claims never to have lived. This threatens to rip Tom’s family apart at the seams, leading to some shocking revelations and startling actions. Although Tom’s story arc is the most prevalent and important, I was extremely taken by the subplot of his son, Jack, and the effect of his father’s actions on his own as he strikes back against his intimidators. The movie presents an unwaveringly honest portrait of high school, and I admired the commitment to realism. There is a lot to interpret in “A History of Violence,” and it is one of those great movies that lingers in your mind for days on end. Director David Cronenberg packs a great punch with only 90 minutes, quite a remarkable feat. The movie centers around the concept of violence (if you couldn’t deduce as much), and by neither abhorring it nor glorifying it, he leaves it up to the viewer to decide what they think about it. I do recommend this with a disclaimer though: squeamish should stay away. The movie features some unsettling scenes of sexuality in addition to the graphic and gory violence. If you watch this movie because of reading about it here or have seen it already, why not comment? Even if you don’t agree with me, I still want to hear what you think.